Hey Ladies! Join us for an evening at the Brew Camp Classroom. 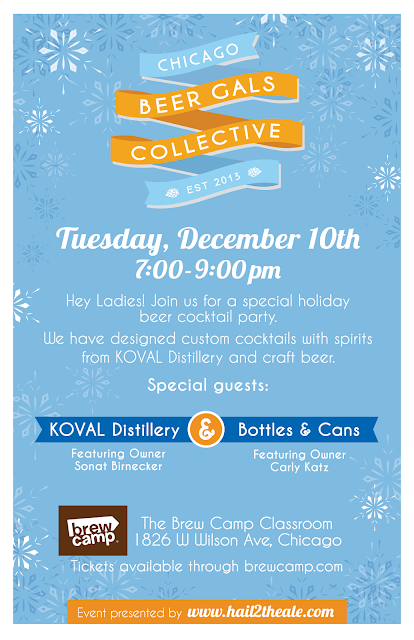 This month we will be ringing in the holidays with a Beer Cocktail Party featuring custom made recipes by KOVAL and Bottles & Cans. We’ll be providing a special tasting of cocktails as well as snacks.